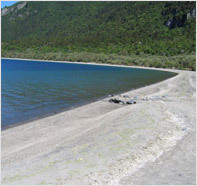 Situated 33kms west of Turangi on the south western edge of Lake Taupo. 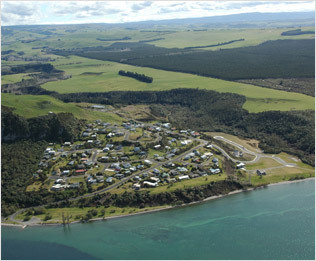 The magic of Whareroa is it's relative isolation, great Lake views and Village style atmosphere. 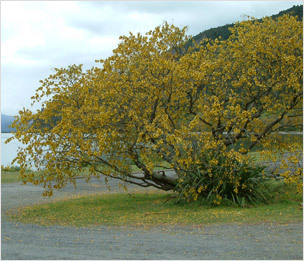 You can get away from the hustle and bustle of city life and still only be 30 minutes from town. 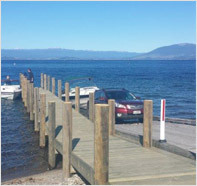 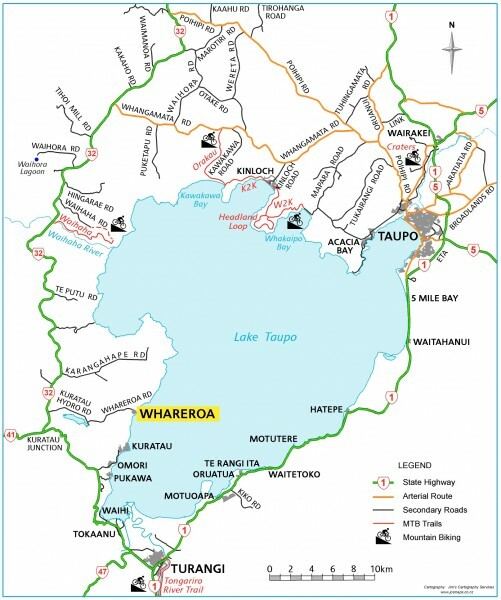 Whareroa, with its long sandy beaches, excellent boat launching, ski lane, and fabulous fishing within minutes of launching your boat, is the envy of most lake visitors. 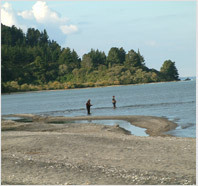 For those who prefer fly fishing there is the famous Whareroa stream mouth, or Lake Kuratau only minutes away. 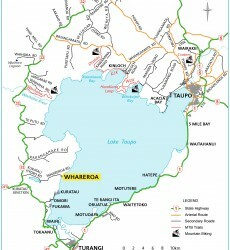 Or for those into snow skiing, then 50 minutes will see you at the Whakapapa ski fields.